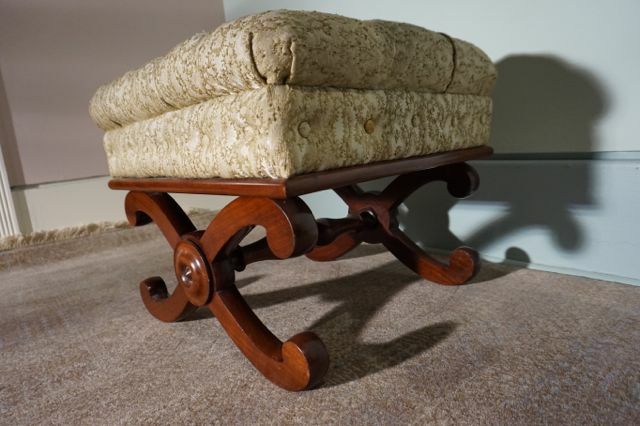 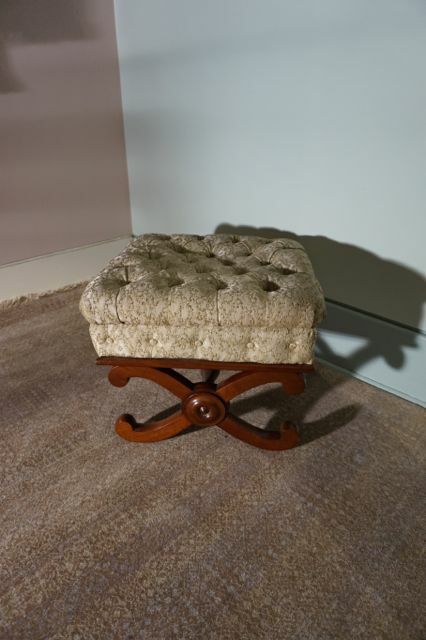 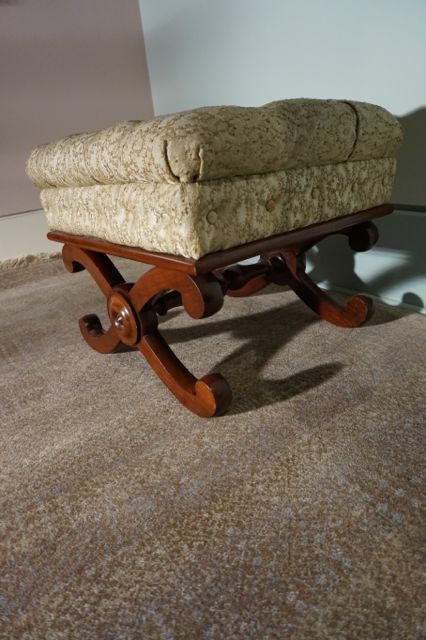 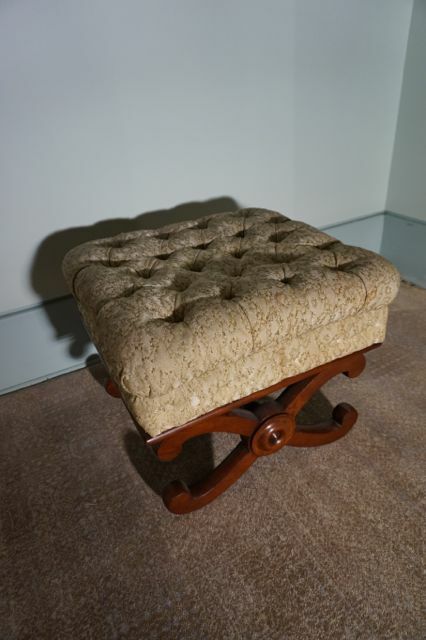 Timeless curule stool in solid Mahogany with vintage upholstery. 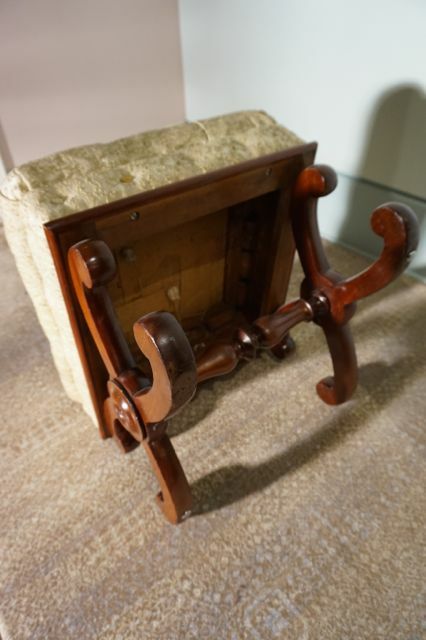 Sturdy frame and seat. 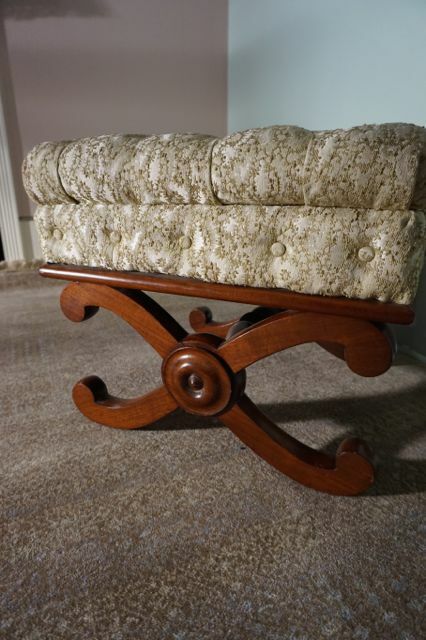 Elegant proportions.